4 new plugins added to SocialEngine marketplace in month of March focusing on improving the visual interface and user engagement of your SocialEngine community. These plugins will help to provide a positive and meaningful user experience thus binding them to your social network. Allow users to create music albums, upload songs, associate artists with songs, follow artists, grouping favorites in playlist and many more features to play with. Plugin offers four music entities: Music Album, Song, Playlist and Artist. Create beautiful and elegant responsive slideshows using features like Slide Overlay, Predefined Frames, CTA Buttons, Lightbox Viewer, Taglines, Custom Slide Styes & Mixed Content in slides to make your SocialEngine community an attractive one. Solution to endless purposes like FAQ System, Knowledgebase, Tutorials, Help Center, Opinions, Glossary, Que & Ans, Advice Articles, and many more. It is ideal for information aggregation, information management, and knowledge sharing. Fix the content of column regardless of how far the page is scrolled using this plugin, even useful when content is not being displayed by all columns and you want to show that section of page till its content only. SEAO - All Products Package: Suite of SocialEngineAddOns plugins enabling you to create a booming and engaging online community. Package purchase is usually cheaper than purchasing individual plugins, so go for this to increase user engagement on your niche socialengine community. 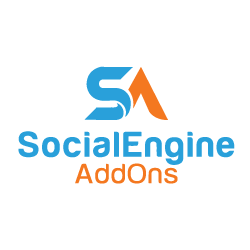 Get All SocialEngineAddOns plugins at more than 30% discount. For more info on any of the above suggestions, please contact us here.